In this video, Director of Fitness for the PGA of America David Donatucci demonstrates several cable exercises designed to improve your golf game. Stabilization through the center of the body is key. All of the exercises in this class will allow for better golf posture, more flexibility on your swing and more power through contact with the golf ball. 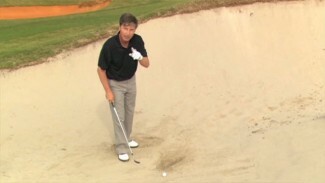 Properly assessing your lie and shot selection before hitting out of a bunker is a critical step if you want to be a better player. Instructor Matt Kluck explains why it is important to focus on matching your abilities to the shot you choose. Matt walks you through three different options; the normal shot, the safety shot and the reliable “get-out” shot. He’ll show you how to execute and select the proper equipment for each. 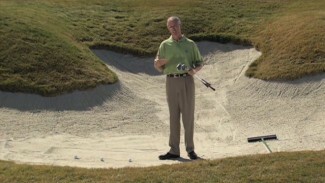 Following these tips, you’ll find your play out of the bunker improve in no time. In 100 Yards To Go, former PGA Teacher of the Year Peter Krause demonstrates how a single club can be utilized to hit a variety of approach shots. In this lesson, Peter teaches the principles of grip position and ball placement, and how each effects the loft and distance of your shot. By varying your grip from low to high and addressing the ball from the front to back of your stance, he’ll show you show to use a single club to hit perfect approach shot in various situations.